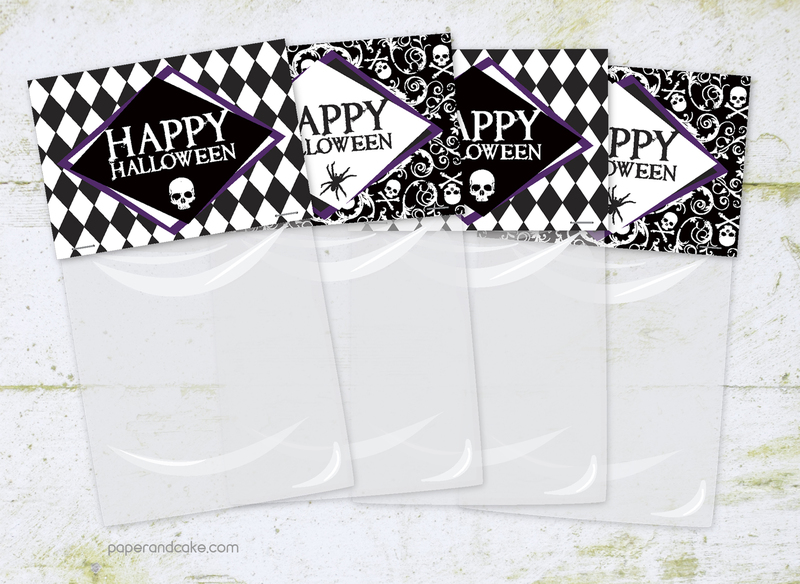 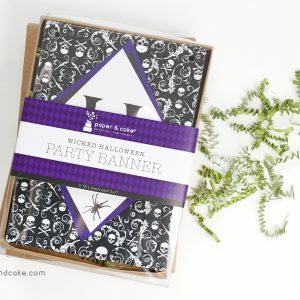 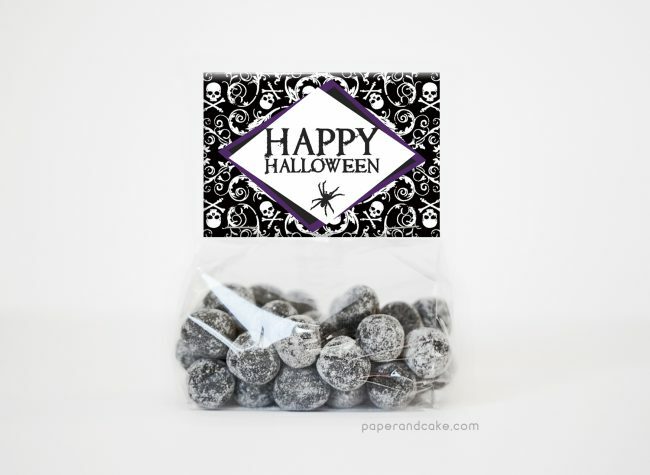 Host a Halloween Party with our Wicked Party Favor Kit, that reads “Happy Halloween”! 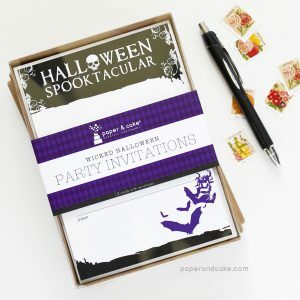 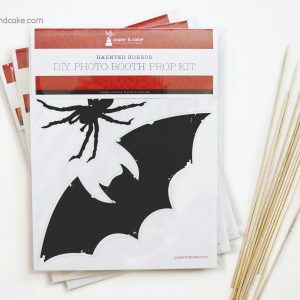 A dozen creepy crawly Halloween party invitations. 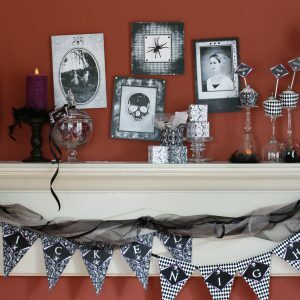 A ready-to-hang Halloween pennant banner with skulls and spiders. 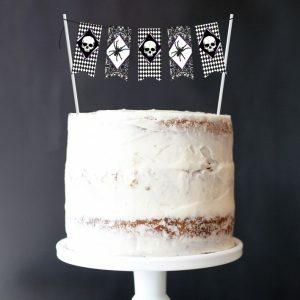 A ready-to-use cake topper with skulls and spiders.